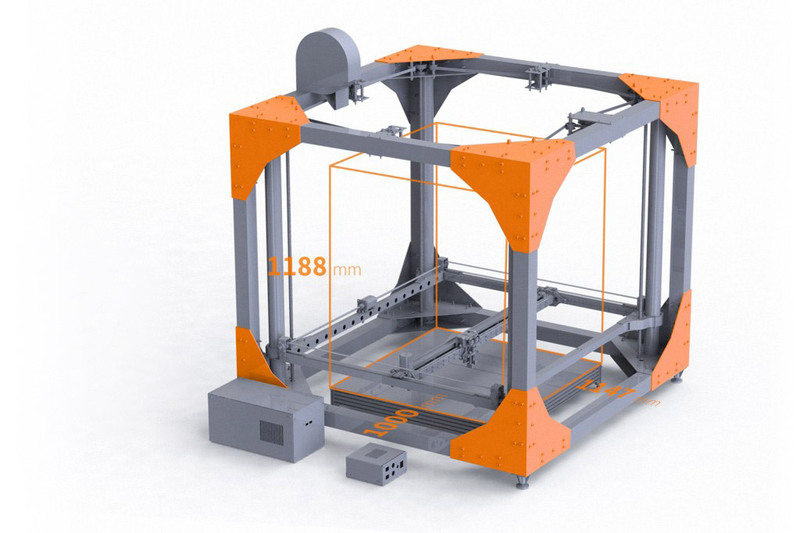 BigRep ONE is an unprecedented full-scale format 3D printer with an 1147 x 1000 x 1188 mm (1.3 m³) working volume. Conventional 3D printers can usually only produce hand-sized objects. BigRep printers, however, can create objects in a full-scale format, opening the imagination to yet unfathomed application areas. A printing volume of over one cubic meter makes it possible to produce prototypes and models 1:1, or to create final products, such as designer furniture, directly with the 3D printing method.